May 3, 2018 at 9:14 am EDT | by Lou Chibbaro Jr.
Capital Pride Alliance, the group that organizes D.C.’s annual LGBT Pride parade and festival, announced last week that it has worked over the past year to respond to concerns raised by some that its events and policies don’t represent all segments of the LGBT community. Although it didn’t say so directly, a three-page statement released by Capital Pride Alliance on April 25 appears to be a response to the controversy surrounding the action last year by the protest group No Justice No Pride to block the path of the Pride parade. 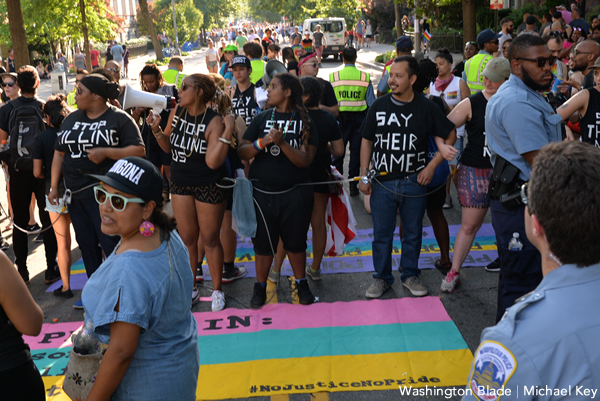 D.C. police chose to reroute the parade rather than arrest the protesters, who blocked its path by linking arms to create a human barrier from one side of the street to the other. The group said its civil disobedience protest was aimed at what it claims were Capital Pride’s refusal to agree to its demands for banning police participation in the parade, banning corporate sponsors involved in the defense industry, and restructuring the Capital Pride board of directors to include greater representation of transgender people of color and Native Americans. In its own statement released on April 26, No Justice No Pride said it carefully reviewed the Capital Pride statement and concluded that “no substantive changes have been made to address the concerns of those who feel they have been left behind and pushed out” of the Pride festivities. “All signs indicate that Capital Pride 2018 will once again celebrate weapons manufacturers, corrupt banks, and police departments, aligning itself with those who profit off of the oppression of the most marginalized members of our communities,” the statement says. Drew Ambrogi, a spokesperson for No Justice No Pride, couldn’t immediately be reached to determine whether the group is planning to stage another protest against Capital Pride this year, including a possible civil disobedience action such as blocking the parade route. 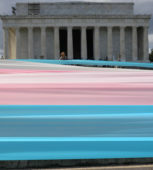 Capital Pride supporters, including longtime D.C. gay activist Deacon Maccubbin who organized D.C.’s first LGBT Pride celebration in 1975, have said No Justice No Pride’s views don’t reflect the views of the overwhelming majority of the LGBT community that has participated in Capital Pride in recent and past years. Capital Pride officials were more cautious in their response to No Justice No Pride’s criticisms. But in their April 25 statement they said they reached out to the community to obtain input on how best to move forward with the Pride events, including the parade and festival scheduled for June 9 and 10. “Over the past year, the Capital Pride Alliance Board and volunteers have carefully considered all the experiences and feedback received from diverse organizations and individuals, and our goal remains ensuring a safe, positive and memorable Pride experience for all members of our community,” the Capital Pride statement says. “The LGBTQ+ community is exceptionally diverse and includes many people with opposing views on a wide range of issues,” said Capital Pride Alliance Board President Ashley Smith in the statement. “That includes law enforcement, veterans and active members of the military, local businesses, corporations, and the defense industry,” he said. 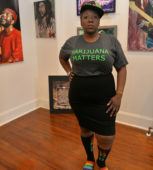 “It also includes those who take issue with the actions of political, educational, corporate, and other institutions,” Smith said in the statement. 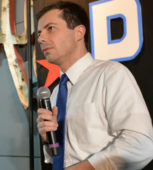 “Capital Pride Alliance must find a way to create an environment that fosters dialogue, allows for a diversity of thought, and provides a space for a positive experience at Pride that is safe and affirming,” he said. The statement says that among the actions the group has taken over the past year was an “open call” for people interested in joining its board, which resulted in several new board members and volunteer leaders, including new transgender members, women, and people of color. “Our Board leadership team has changed and diversified from years past to include a person of color as the President of the Board and a woman to the leadership team,” the statement says. It was referring to Smith, who’s African American, as the new board president. Concerning corporate sponsors, the Capital Pride statement says the board has adopted guidelines requiring that corporate sponsors be committed to LGBT supportive personnel policies and support for LGBT equality as reflected in the Human Rights Campaign’s ratings of the nation’s corporations on LGBT issues. 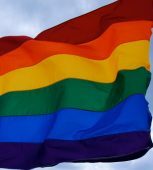 It says any organization designated as a hate group by the Southern Poverty Law Center will not be permitted to become a sponsor or to participate in Pride activities. But the statement makes no mention of restricting corporate sponsors associated with the defense industry, such as defense industry firms Northrop Grumman or Lockheed Martin, which were Capital Pride sponsors last year and for which No Justice No Pride raised strong objections. Capital Pride Executive Director Ryan Bos told the Washington Blade that arrangements for nearly all corporate sponsorships and corporate participation in the Pride parade and festival are made by LGBT employee groups within those corporations. “Pride is a combination of all the different organizations that show up and participate,” Bos said, including LGBT employee groups of businesses and corporations. “And a lot of these organizations have different views and we have a unique responsibility to respect those differences in a way that we can provide a place for folks to participate and feel comfortable,” he said. Bos said that corporate sponsors, which Capital Pride identifies as “advocates,” are listed on its website. As of late Tuesday, the three corporate sponsors from last year opposed by No Justice No Pride – Wells Fargo Bank, Northrop Grumman, and Lockheed Martin – were not listed on the website. However, at least two other defense related firms were listed on the site as sponsors – BAE Systems, a British company that produces combat vehicles such as tanks, and Leidos, a Reston, Va., based engineering company that does work for the U.S. military. Bos said he expects more corporate sponsors to be added to the website’s list each week between now and June 9 and 10, when the Pride parade and festival are set to take place. Among the numerous non-defense related corporations listed on the Capital Pride website as corporate sponsors this year are Marriott International, United Airlines, Nissan, Giant Food, Capital One Bank, Citibank and Amazon.com. The Capital Pride statement released last week is also silent on another issue to which No Justice No Pride objected – the presence of law enforcement agencies’ recruitment booths at the Capital Pride Festival. In past years, including last year, the FBI and CIA were among the government agencies that set up recruitment booths at the festival. The booths were staffed by LGBT employees of the two agencies. In prior years, the D.C. Metropolitan Police Department also set up a recruitment booth at the festival. It could not be immediately determined whether those and other law enforcement agencies planned to set up recruitment booths at the festival.